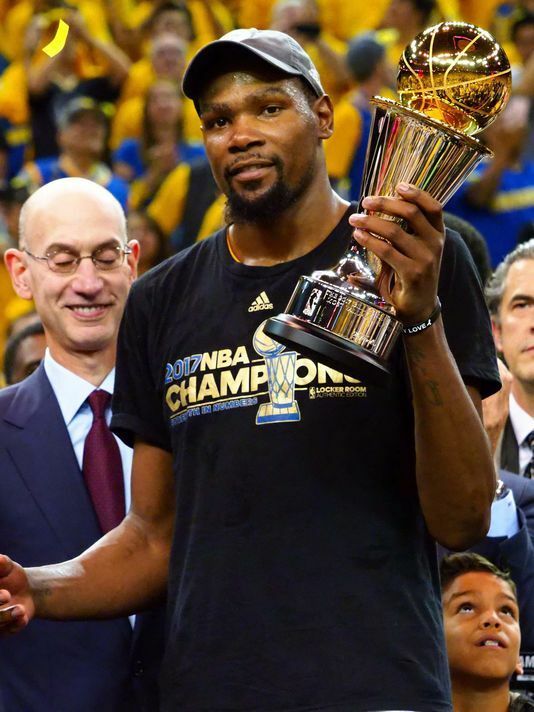 Amidst criticisms when he decided to bail out of the Oklahama and joined the Warriors, he pursued his goal in winning his first championship. As per Stephen Smith, his move to a 73 win season team was a weak move but all these were set aside when the Warriors won this year's NBA Finals. Averaging in the Finals with 35.2 points, 8.4 rebounds, 5.4 assists with a .588 shooting clip (60/102) this was enough to earn him the Bill Russell Finals Most Valuable Player (MVP). What a sweet victory for Kevin, scoring a double win with his first stint with the Warriors. (click here for our article on the win by GSW). 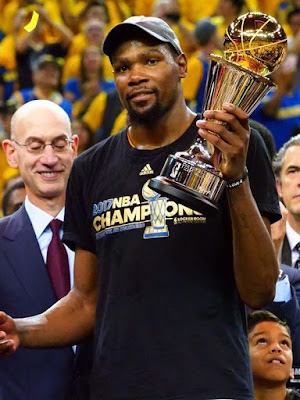 It was said in earlier meetings prior to his joining the Warriors, without him GSW will win a championship or two, with him winning with the OKC same same. But together, we will a bunch of them. With the reports Durant giving up millions in salary to keep the team together, it seems like the whole gang will re-sign up for the next season. Will this be the start of a dynasty? Only time will tell.